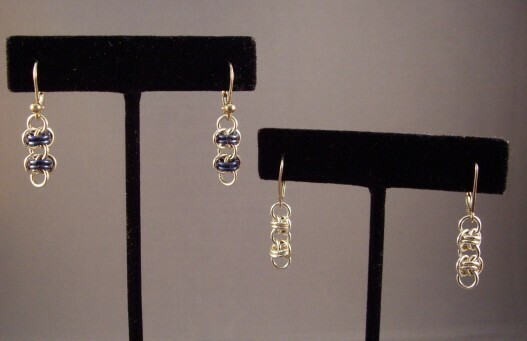 The Stairway to Heaven Earrings are light to wear. They come in several color combinations. The two tone with sterling silver and blue niobium is an especial favorite of mine. This is a beginner weave. Sterling silver plated or gold plated leverback earring findings are included in the kit.